Can you explain me why is Data supposed to be so "unique", with this concept being repeated several times in TNG episodes? 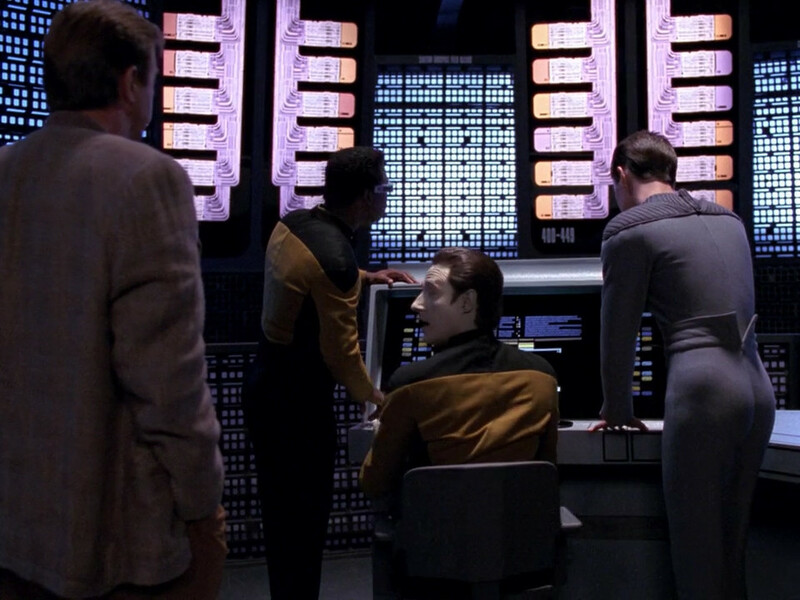 Even in TNG, Data seems to me quite an outdated piece of technology for his time. Enterprise's main computer could generate an intelligent being in the blink of an eye (holographic Moriarty), and this being eventually managed to become self-conscious. Not to mention that virtually any Federation starship is equipped with an unbelievable medical hologram who can develop outstanding intellectual and social skills in a handful of years, while Data can't help but being clumsy in any social activity and needs an actual piece of hardware to mimic emotions. Why is Data so “unique”? This is made even more complicated by the Enterprise Technical Manual, which claims the Enterprise has 3 computer cores: 2 in the saucer section and one in the stardrive, so there may be another 2 of those rooms which make up the single computer. Obviously, these ship computers could never fit inside a humanoid frame with enough space for all the mechanics to allow them to move in a realistic fashion. So on that level, Data is more efficient as he has a better computational power to size ratio. The other comparisons you made are to the Enterprise computers and the holograms they can create. You should not forget that Data was activated in 2338, however the Enterprise (1701-D) was completed in 2363, a full 25 years later. Voyager was then seven years after this in 2371. It's not surprising that the greatest engineers in the Federation could catch up with a leading scientist after all that time, especially as Data has worked with numerous Starfleet experts to share the knowledge that Dr. Noonien Soong gave him, such as Commander Bruce Maddox who is met in Measure of a Man and shown to be in regular contact with Data in Data's Day. Data is judged to be a sentient being. The quality of holographic personalities is a bit uneven. In Season 1, Episode 14. 11001001 the Binars create Minuet to ensnare Riker. RIker finds her personality totally believable but it is implied in the episode that this is because the Binars are controlling her. When their control is removed and Minuet is "simply" a holodeck creation her personality reverts to a preprogrammed set of responses. I would argue that the Medical Hologram is also a set of pre-programmed responses though with a wider range. "Ambassador Spock: Fascinating. You have an efficient intellect, superior physical skills, no emotional impediments. There are Vulcans who aspire all their lives to achieve what you've been given by design". And although emotional responses are supposed to be beyond him he does comment upon his "mental pathways become accustomed to your sensory input patterns". Picard points out that Data meets two of the three criteria that Maddox uses to define sentient life. Data is intelligent and self-aware, but Picard asks anyone in the court to show a means of measuring consciousness. With no one able to answer this, Louvois acknowledges that neither she nor anyone else can measure this in Data (nor in any other person present) and, as such, Data, as a matter of law, is a sentient being. The only thing that made Data truly unique is the fact that he is in Starfleet. His brother, also built by Soong, is off doin' his thing and is also self-conscious. The Doc is forced to serve in the Starfleet by his programming. The Enterprise may be able to generate the intelligent beings, but it's a much larger computer. Data does that all in his own head. That the Doc can be managed to transfer to his mobile Emitter is only possible because he left many of his functions on the ship. TL;DR: Data is unique because of his choice to join Starfleet. Data has a finite power source (perhaps one which can be replaced or refueled), but it is so energy-dense that during the course of the mission of a starship, running out of energy is not a sufficiently likely possibility as to need to worry about it. Hypothetically, Data could operate solo on an extended reconaissance or spy mission for decades, just like a biological life form, or perhaps even longer (there is no apparent upper bound on how long his energy supply is supposed to last; at several points there are hints that he is effectively immortal unless he is materially destroyed as in Nemesis). This type of persistence is only possible by holograms with the help of a mobile emitter from the future; in the prime universe timeline of TNG and VOY, access to this technology is not available. Also, I don't think it is ever discussed whether there is an upper bound on how long the mobile emitter can last. Does it also use an over-unity power system, or does it use a power system similar to Data if it's finite? We don't know. Would The Doctor with the mobile emitter be able to sit in a vacuum without any inbound EM stimuli and operate at full power for a century? I think Data would. Even if the mobile emitter could, it's still technology from outside the timeline of TNG and VOY, which makes Data unique for his time period. Note that the Moriarty device is a data storage device (like a HDD, though perhaps also with a "CPU" component running a simulation of Moriarty) and does not appear capable of actually manifesting Moriarty in the world (if it's capable of this, it is never demonstrated). Basically, aside from being very space-efficient compared to a ship computer in terms of what's required to create an artificial intelligence, Data is also extremely power-efficient or power-generating or power-storing, in ways that would make starship engineers drool. Imagine having an object 1/8th the size of a warp core that was either over-unity or almost impossibly energy dense, that could allow a starship to operate independently without external power for 50 years, 100 years or more, while expending energy through phasers, torpedoes, warp drive, replicators, transporters, etc. that is orders of magnitude greater than what we are capable of harnessing in reality. Let's not forget that Data is capable of projecting significant kinetic energy through his synthetic appendages. He is shown to be many times stronger than Klingons in melee combat, and shown lifting extremely heavy objects. He is capable of absorbing energy blasts from 24th-century small arms without taking significant damage. Even if you assume that his positronic brain is so efficient that it only consumes as much energy as a real life smartphone, in absolute terms, the "watts" of energy required to produce the forces he generates by walking around, punching Klingons, etc. have to come from somewhere. And it has to be an energy source that lasts a very long time, or indeed, effectively forever, at the rate that he uses it. If you thought a dilithium matrix was energy-dense, Data cranks that up to 11. In fact, this discussion makes it worth speculating whether the huge explosion resulting from Data shooting the Scimitar's Thaleron core was due to the Thaleron, or due to Data. If the energy contained within Data were all released at once, it could look very much like the explosion that was depicted on the screen. 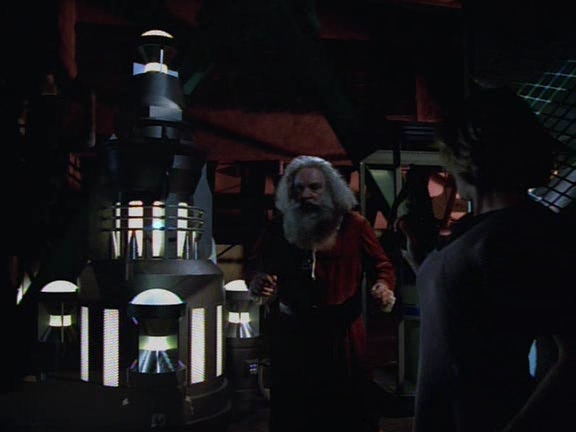 Besides the fact that Data is completely autonomous android, not tethered to a huge ship's mainframe computer, don't forget that both the holographic Moriarty and the holographic doctor on Voyager are also unique. Moriarty's self awareness was an "emergent property", if you will. It was never intended by the designers of Enterprise's computer. It happened once by accident. And the Voyager's doctor was an experimental system, which far exceeded its original capabilities, but only after years of tweaking and adapting to extreme circumstances. There are several great replies here thus far. However, I believe something else needs to be considered - the nature of the consciousness created. Data has a positronic brain. This implies something fundamentally different than the "conventional" quadritronic processing done in Starfleet computers. The fact that the "quad" and its various metric system designations (e.g. kiloquad) seems to amorphously float between a measure of memory storage and processing power doesn't help explain what the difference is one bit, but then, neither does the designation "positronic brain," which is what's used to describe Data's brain. I think, however, that the best way to describe Data would be more along the lines of Data being more hardware-bound in many ways. That is to say, that Data's core brain is physically more similar to an organic brain than a computer. While it is not a pile of goo with neurons and synapses, it is probably akin to morphware, which is basically hardware that reconfigures itself like software. The Doctor and other holographic systems rely on much larger and more powerful, conventional computer systems. This may well mean that these holograms have a rather different form of consciousness and sentience, in that they are essentially "simulated persons." Philosophically this may mean that they are "less" than people, or don't have true consciousness at all, but the audience generally assumes that at least the EMH is sentient. Nevertheless, if this is indeed the case, chances are there are differences that are at least oriented towards their subjective qualia, leaving Data's "experience" to be much more like that of a conventional organic being, yet with the advantages of a computer. However, we should not be quite so hasty in judging just what the Doctor is. The Doctor's computer systems were unique on Voyager. In one early episode it was stated that it would be impractical for him to be transferred off the ship and out of the sickbay systems (Voyager episode Life Support). This implies some sort of specialized hardware, since otherwise he could be brought, if need be, in a few suitcases of isolinear chips. Let us ignore for the moment that he'd almost certainly have ended up vivisected (or decompiled, or whatever the equivalent is for holograms) by the Romulans for his technology in that particular case. Another thing that suggests possibly specialized hardware for the Doctor is the fact that the mobile emitter CAN apparently separate the Doctor from Voyager entirely. Furthermore, it does so in a rather illogical manner from a computer science perspective, specifically that the Doctor seems to cease to exist in the Voyager computer, as opposed to a copy being created. Whether this can be a comment on the technology backing him, or an example of the writers ignoring or being ignorant of computer mechanics, is difficult to determine, and I'm pretty sure it was never addressed. Looking to the mobile emitter is of little use. I'll bet the Federation can copy it and repair it, but it will be a considerable time yet before they understand it. Nevertheless, this does show that it's possible that the Doctor uses more than conventional computing power to attain sentience and consciousness. He may well use some sort of (until the mobile emitter, unmovable) Data-like brain for at least part of his program. However, that doesn't mean that there's a giant copy of Data's brain behind one of the walls in sick bay; this could just mean that he's got a processor in there somewhere that takes care of a certain portion of his cognition with most of the actual processing being in conventional computer systems. Nevertheless, since it seems (to me, at least) that the evidence weighs in that sentient holograms are still running MOSTLY on conventional technology, this leaves Data rather unique. Even if the holographic AI allows Starfleet to produce new, intelligent beings, the process by which the sentience occurs is still different from the way it does in a person, which has scientific value on its own, and may have functional value that is not obvious. It is also noteworthy that this would have some objective consequences as well as subjective consequences. While we are not equipped, as an audience, to determine these, as we know little about the technology, a major one comes in the form of actual programming. It is possible that Data's "programming" is considerably different than what would normally be considered programming. Furthermore, he seems to be resistant to external programming attempts, considering his confidence in the face of Borg coercion. The EMH, on the other hand, is modified as a program several different time during the series, and is also subject to "orders" from the holodeck program he's in, such as falling under hypnosis because the program says so (Voyager episode Spirit Folk). Whether or not the crystalization of a structure producing consciousness is a criteria for considering it to be actual or merely emulated consciousness is a decision for the Federation courts, I suppose. So in short, one major thing that renders Data unique is HOW he is made into a sentient and conscious being, and that it is probably in a manner much more similar to organic brains than what would be produced by a hologram. Now, THAT mouthful out of the way, I have to agree with other posted assessments in many ways. Remember that Data's been around and operating for several decades and has probably been poked in just about every part of him in one way or another. It's not impossible that they've figured out a lot of how he works. In fact, Data himself volunteered for some of Dr. Maddox's experiments once he was sure it wasn't going to kill him in the process (TNG episode Data's Day). It's not unthinkable that Maddox indeed perfected the experimental technique, ran it on Data harmlessly, and managed to come up with a way to replicate positronic brains. Further, we have at least two instances where positronic cognitive hardware were introduced in the series. Lal, first and foremost, produced a complete, if unstable, positronic brain, that in fact lived for several days (TNG Episode Lal). However, another thing that suggests that positronics are considerably more advanced is what happened with Vedek Bareil (DS9 Episode Life Support). He had half his brain replaced with positronic equipment, and although it made him something of a technozombie, he was nevertheless still a conscious being. And Bashir implied that he could do it for the rest of his brain, though refused since Bareil really would be a technozombie if he did it. Although it could be retconned back that the only reason Bashir could do this was because he was a super genius, it seems like it's a bit of a stretch, especially considering it would be almost impossible to cover up that he managed to cook up this plan all on his own on the fly even though the best engineers in the Federation had been slowly piecing together the puzzle of just how it worked for decades, let alone deliver a fully functional medical application. Furthermore, as in the extracanonical material, Data was revived in B4, it is likely that reverse engineering of that extent was revolutionary in the understanding of the positronic brain. With this in mind it is possible that Data's resurrection may have simultaneously answered many of the questions that remained. Plus, if I recall correctly, Data basically "promised" B4 that he'd make him a new brain as B4 was essentially reversibly replaced with Data's mind. This gives Data a VERY direct reason to find out a way to make a new brain - both to give his brother a new positronic brain to exist in, as well as try to help him overcome any limitations of the hardware that Data can likely bypass due to superior programming, but B4 may be restricted by. So in short for THAT text blob, most of the references to Data's uniqueness were in TNG, and furthermore we saw at least two examples of technology's progress making that uniqueness a far shakier prospect. Not the answer you're looking for? Browse other questions tagged star-trek star-trek-data artificial-intelligence hologram or ask your own question. How did Data get Spot? Why does Data go to sick bay? Why does Data not notice the intruder? Why didn't Data subdue Worf?